One of the most beautiful small community funeral homes in the West. 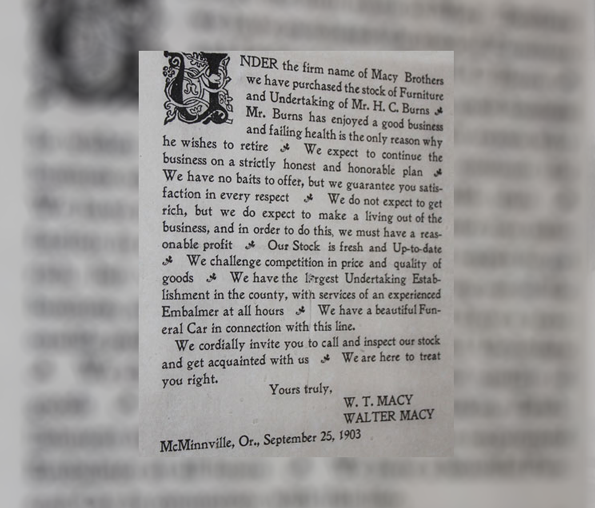 The roots of Macy and Son date back to 1903, when the late W.T. 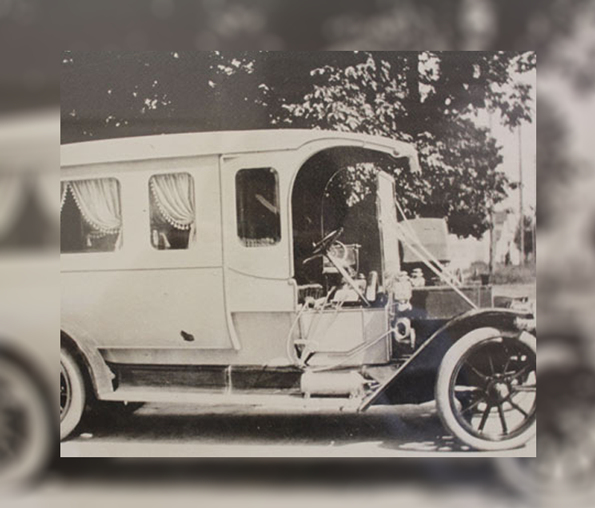 Macy and his brother, Walter, purchased a furniture and undertaking parlor from H.C. Burns. 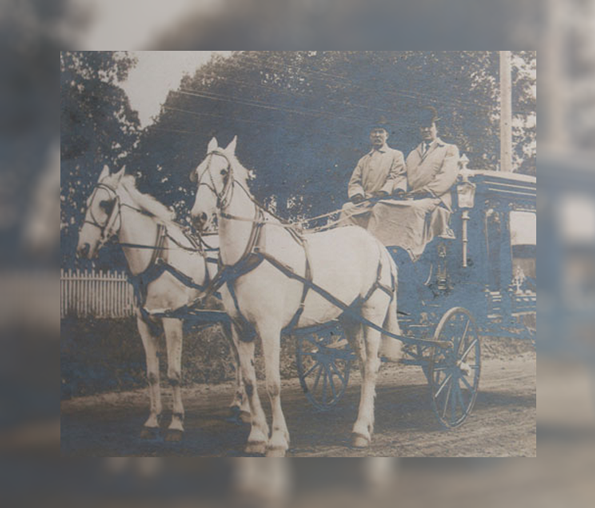 The goal of the Macy brothers was to provide the citizens of Yamhill County funeral services of the highest standards at a fair price. With this in mind, the Macy firm was born. The establishment grew in its early years, and in 1920 Glen S. Macy joined his father, W.T. Macy, and the firm was renamed Macy & Son. 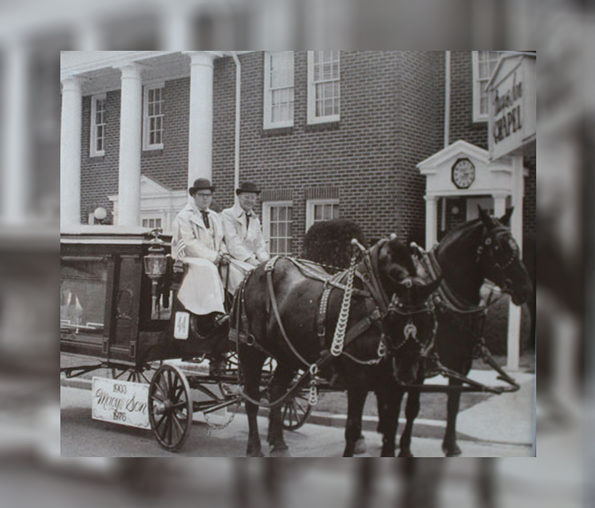 In 1936, the present funeral home was built and still is acclaimed as one of the most beautiful small community funeral homes in the West. The third generation of Macys, Glen C. Macy, joined the staff after World War II. 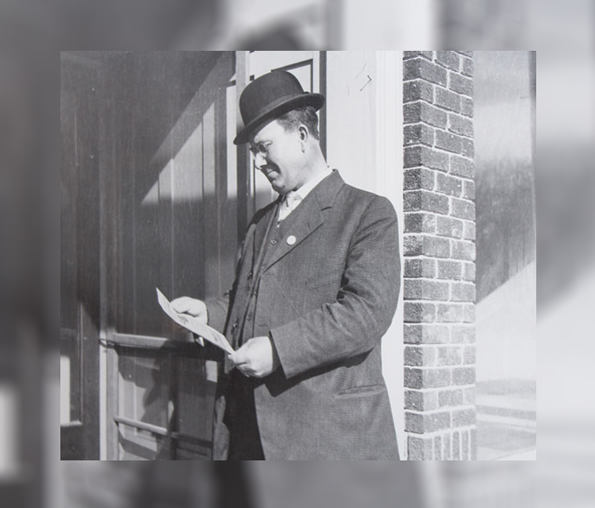 Glen Macy was past president of the Oregon Funeral Director Association, and the Oregon State Board of Funeral Directors and Embalmers. Glen Macy was actively involved in civic affairs and received both Junior Citizen and Senior Citizen awards. The fourth generation is represented by Glen’s sons Steve and Scott. Steve entered the firm in 1975, and Scott came into the firm in 1982. 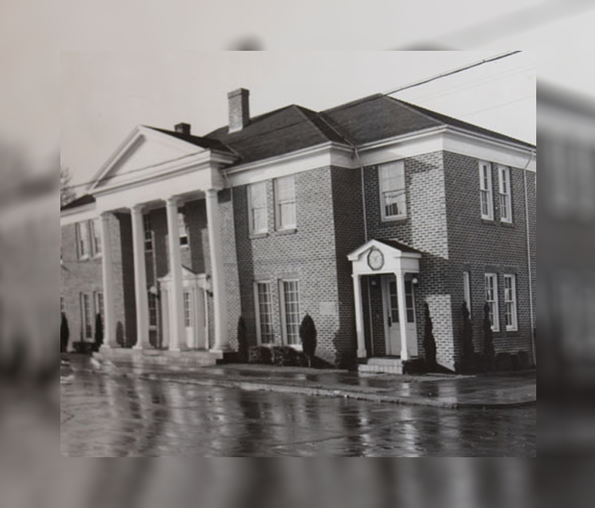 The fifth generation at Macy and Son includes, Steve's son-in-law Corey Rich, who joined the firm in 2002 and Scott’s son Glen who entered the family business in 2012. Generations of Macys have been involved with government, community and church as leaders and volunteers. It has been the policy of the firm that dedication to our community is a family responsibility and tradition. Macy and Son has also been at the forefront of the funeral profession. Three generations of Macys have been president of the Oregon Funeral Directors Association, and Glen and Steve Macy have both been appointed by the Governor of the State of Oregon to the Oregon State Mortuary Board. Both men served as president of that State Board.